Welcome to The Hearing Place! The Hearing Place prides itself on service, value, and trust. Audiologist Lauren Gromel has been taking care of your hearing needs locally for over 20 years. Our convenient full-time Berwick location with easy parking along with a warm, homey atmosphere makes your visit comfortable and worry free. We believe in treating every one of our patients as family. In addition, we work with you until you are completely satisfied. Lauren Gromel and her staff will help you find the hearing solutions that best fits your needs. We take the time to get to know you to determine what technology level would be best for you. A thorough case history, comprehensive audiometric evaluation and consultation help us to ensure your complete satisfaction. No one is rushed through an office visit. "Treat others as you want to be treated" is our motto. It's a simple concept but one many businesses seem to forget. I have worn hearing aids since the mid 80's but want to tell you I have never had the friendly, personal yet professional treatment I have had at "The Hearing Place". I have dealt with quite a few including a couple of top names in hearing aids. I will send anybody who will listen to "The Hearing Place" and if they aren't listening, that is all the more reason they need to come! I feel very comfortable going away next week with the new hearing aids. They are very comfortable and it is such a blessing to be able to hear so clearly again. You are the greatest! "As we get older, our need for excellent service and a compassionate approach is highly valued and needed. I have found "The Hearing Place" to excel in these two areas. The professionalism and personal care given cannot be any higher. Lauren and her assistant, Terri, are to be commended. I have been with them for years and speak from experience." "I love the fact that my hearing aids connect with "Mapquest" on my iPhone because when traveling I can keep my eyes on the road, and just "hear" what the driving directions are. Especially in large cities (like Chicago) I hear through my hearing aids "in 1 mile take the left ramp". Where you get your hearing aids does make a difference! The staff of The Hearing Place LLC are trained experts at understanding your hearing needs. Because of this, we offer the following services in addition to a Comprehensive Service Plan Included With Most Hearing Aid Purchases - Includes FREE batteries, office visits, cleanings and reprogramming for the life of the hearing aids. Custom Fit Earmolds for hearing aids, swimming, sleeping, earbuds, etc. Amplified Telephones, alarm clocks, etc. 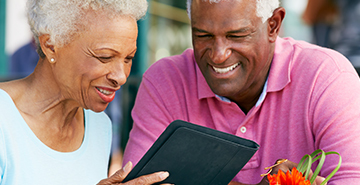 Explore the newest wireless hearing aid products. We work with a few of the major hearing aid manufacturers to find the best product for your hearing loss and lifestyle. One brand is not appropriate for everyone so having a choice is in the best interest of the patient. 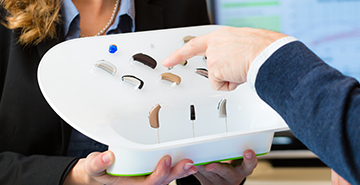 The manufacturers we work with the most are Resound, Starkey, Phonak and Oticon. 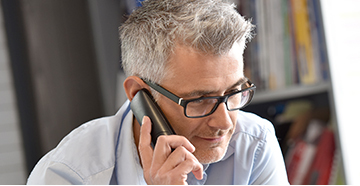 Most of our hearing aids come with our Comprehensive Service Plan that includes FREE lifetime batteries, office visits, cleanings and reprogramming. Call 570-218-4571 Today to Schedule a Free Consultation and Hearing Screening!